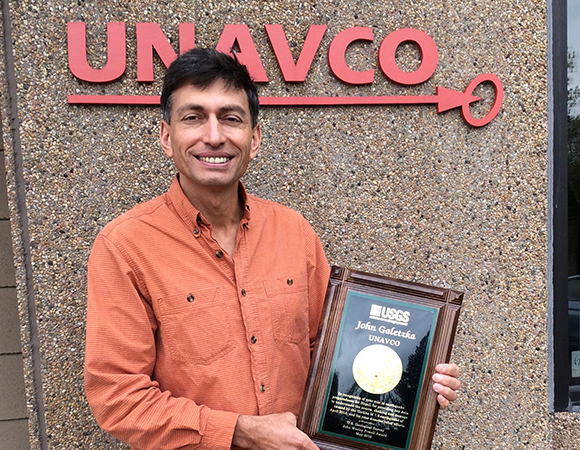 UNAVCO Project Manager John Galetzka was a recipient of a 2016 John Wesley Powell Award, a national service award given by the U.S. Geological Survey (USGS). 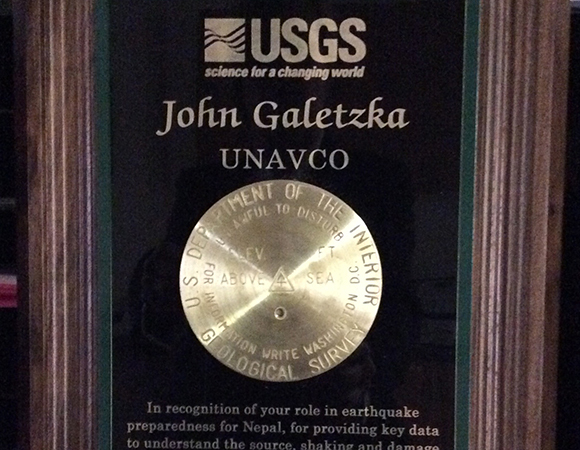 Galetzka was recognized for his role in earthquake preparedness for Nepal, for providing key data to understand the source, shaking and damage caused by the Gorkha M 7.8 earthquake of April 2015, and for his disaster relief efforts. 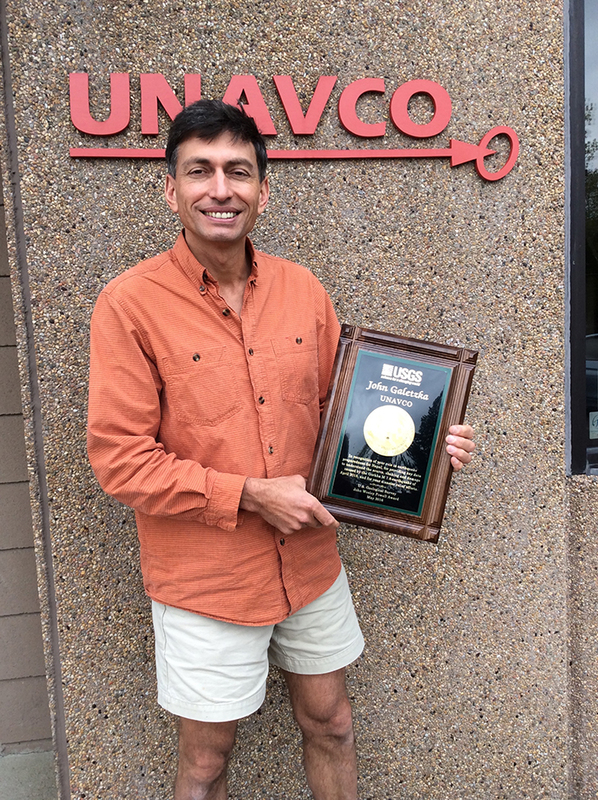 John Galetzka joined the Geodetic Infrastructure program at UNAVCO as a project manager for the TLALOCNet project in 2014. John's background is in Geology (University of Oregon) and he brings a wealth of related experience to UNAVCO. 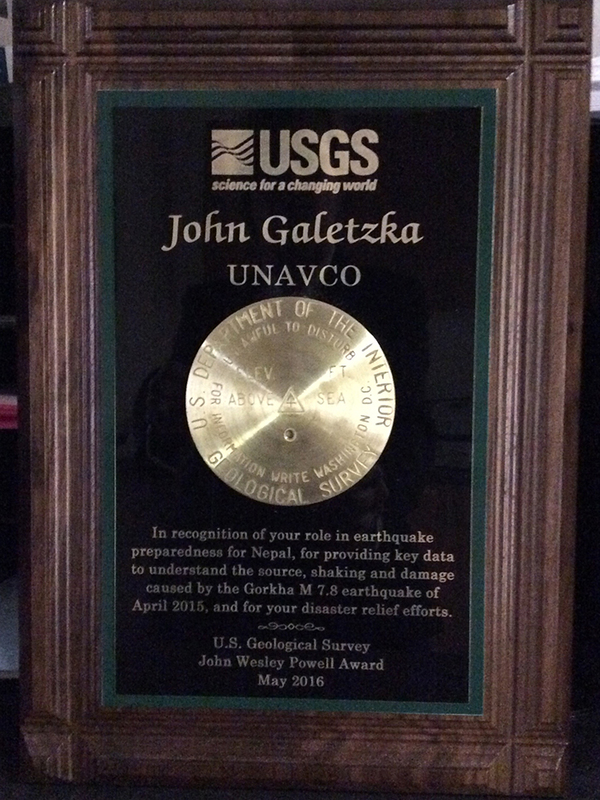 Over the past two decades, John supported the science community in the reconnaissance, construction, operations, and maintenance of networks of geophysical instrumentation while employed as an Associate Staff Geodesist at the California Institute of Technology and as the SCIGN Network Coordinator at the USGS Pasadena. John has managed successful projects in Indonesia, Tibet, Nepal, Mexico, Alaska and other logistically challenging locations. During the Nisqually Earthquake response in 2001, John was responsible for training UNAVCO staff in GPS monument installation techniques, which was one of the first steps in the development of the PBO project. 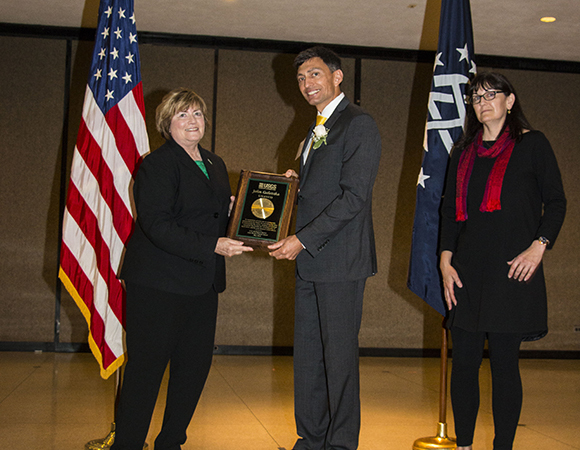 John is also skilled in international diplomacy, with a long history of bringing people and organizations together to work towards a common scientific or humanitarian objective. 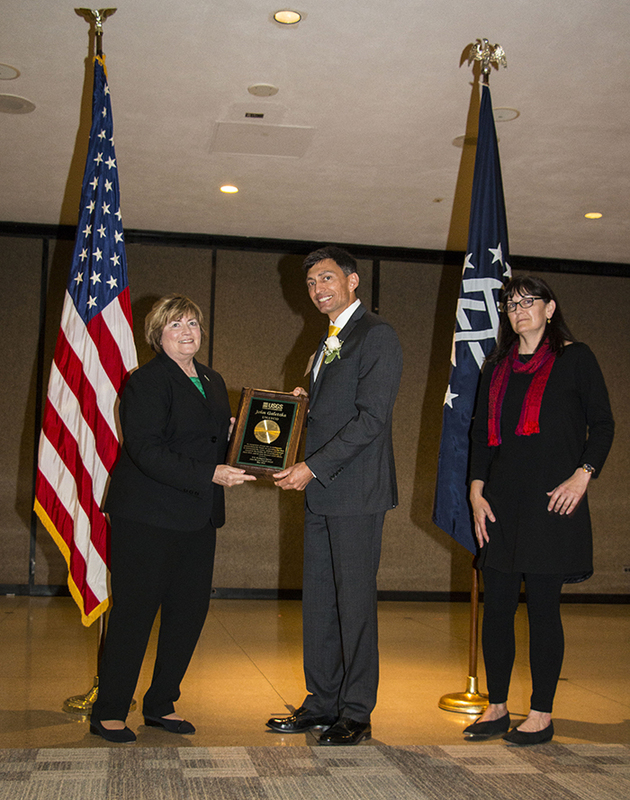 The first awards were given in 1971 with notable recipients including: John McPhee, Micheal Halbouty, Lynn R. Sykes, CalTrans, George Hornberger, California Division of Mines and Geology, George Thompson, American Geosciences Institute, David Perlman, William L. Graf, and Robert B. Smith.